I think you should play zero or all four Arclight Phoenix, nothing in between. 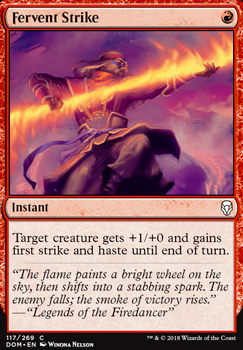 Fervent Strike copied with Thousand-Year Storm at your quadrillion bird tokens seems pretty insane. @dusterGGG I was thinking about the removal thing, and you're right. But on the subject of Fervent Strike, what would I swap out for it? The best choice I can think of would be the Crash Through, but that trample and the draw can be game-winners when it's the third or fourth spell that turn, you know? I'll swap out the Risk Factor though, since it really skews the Average CMC of the deck. 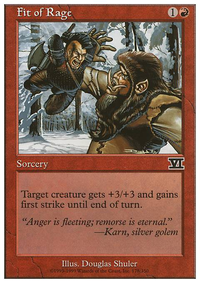 I feel like you could use some more removal, maybe replace two of you Risk Factor with Lightning Strike. Also have you considered Fervent Strike? It's a solid pump spell, especially with Beamsplitter Mage. I'd take out that Built to Smash and Fervent Strike for Claim // Fame and/or Buccaneer's Bravado. Looks like a fun build. Good luck! WolfBream on Guttersnipe Deck, any thoughts? 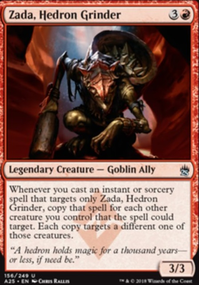 After seeing the core set 19 cards, I decided I want to make a mono red deck that will survive the rotation coming in the fall. The whole strategy behind this deck is to do increments of damage to my opponent's health through Viashino Pyromancer, Burn Spells, and Guttersnipe. Are there any thoughts/ suggestions? 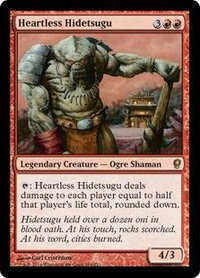 Would Renegade Tactics be better then Warlord’s Fury or rather drop the card draw and go for instant speed ones like Invigorated Rampage, Fervent Strike, Run Amok, or Sure Strike? 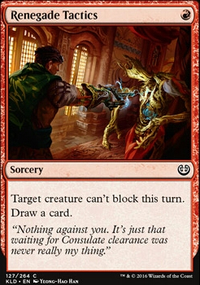 And dive down , mainboard or sideboard, or rather Spell Pierce?